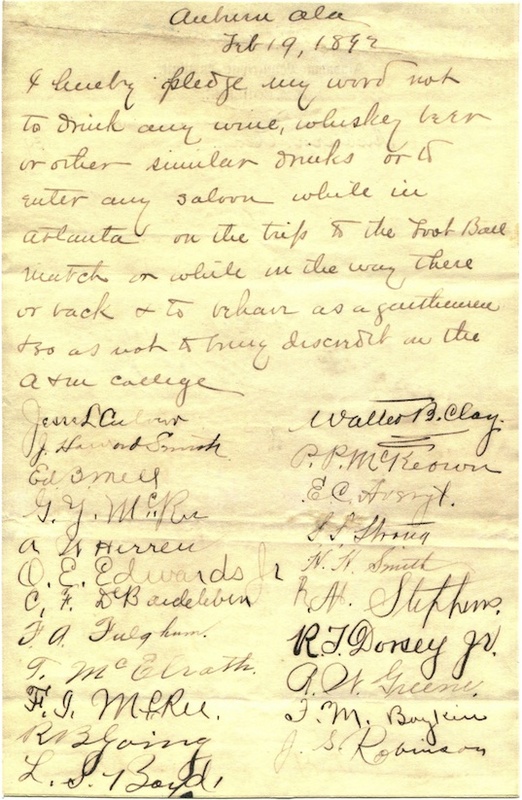 Here’s the pledge not to drink any wine, whiskey, beer, or anything else you might get in a Hotlanta saloon that Dr. George “Father of Auburn Football” Petrie asked his players to sign before hopping on the train to destiny en route to the Deep South’s first football game back in 1892. Source: AU Archives. First published: Nov. 9, 2012. Related: Man who turned hoses on Georgia fans in 1986 tells all!